Timberline High School’s Haylee Ward crashed hard to the turf after a nasty collision with Capital’s goalkeeper. Both were going for the ball. Ward took the brunt of the hit. A gasp could be heard from the spectators watching from the nearby stands. Ward, who a mere moment ago was briefly airborne before landing with a thud, quickly bounced back up to her feet as if the spill meant nothing to her. The Blazers had a penalty kick coming. Whatever bumps or bruises she suffered in the fall could wait until after the match. 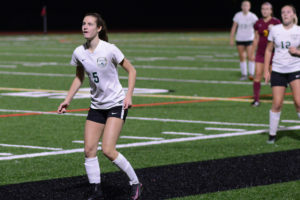 Ward is not the only Timberline player who shares this mentality as fellow senior Joanna Pingel has shaken off a nagging deep bone bruise on her thigh to be one of the top goal scorers in the 3A South Sound Conference this year. If anyone knows what it’s like to take it on the chin and keep going, it’s Pingel and Ward. Both players are four-year varsity players for the Blazers. During their freshmen year, the team failed to win a game, going 0-14-1. Three years later and the team is eyeing a return trip to the district playoffs with the ultimate goal of making the state playoffs for just the second time over the last 25 years. 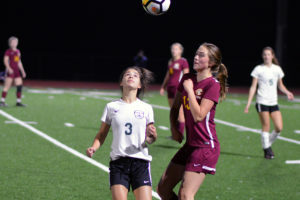 Four years ago, Timberline struggled mightily on offense, scoring a combined 12 goals that season while scoring multiple goals just once and being shutout four times. By comparison, Pingel, a midfielder, notched her 15th goal on the year during the team’s 11th match. It’s now the opposition trying to figure out how to slow Pingel and Ward down as the tandem gives the Blazers one of the best one-two offensive punches in the conference this year. 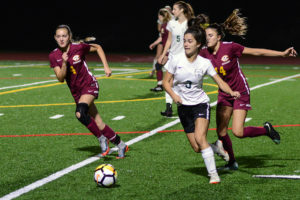 After losing to defending conference champion Gig Harbor on September 11, Timberline found its stride, going 7-1-1 over its next nine matches with its only setback coming again against undefeated Gig Harbor. None of this success was surprising as the Blazers got a taste of what they were capable of being last year during district tournament play. 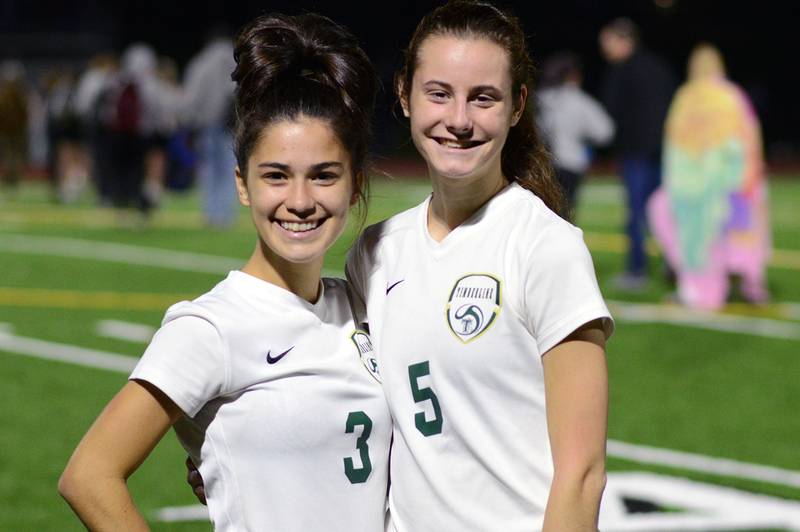 Timberline opened up the 2017 postseason by defeating Evergreen of Vancouver, 2-1, before losing to eventual Class 3A state runner-up Stadium (1-0) in a winner-to-state game. Now under Hayes’ watch, the Blazers have a strong hold on the SSC’s No. 2 seed as the postseason approaches and have strongly positioned themselves to secure their first state appearance since 2012. The Blazers close out their regular season on October 25 against crosstown rival North Thurston. Timberline won the first meeting, 3-2, on October 2. Should the Blazers continue to hold onto the South Sound Conference’s second seed, they will open the 3A West Central/Southwest District tournament at home on October 27 against the No. 4 team out of the Pierce County League.